ASTANA – More than 300,000 people have visited EXPO 2017 since its opening, said Astana EXPO 2017 National Company Chairperson Akhmetzhan Yessimov at a June 23 media forum. “The exhibition is of great interest. The number of entrances to the expo facilities [including the same visitors] exceeded two million people. We will easily achieve the indicators of 2 million people and 5 million visits adopted in the registration dossier of the exhibition if a good dynamics remains,” he said. In a week, 3,000 articles about the expo were published, including more than 700 stories in media worldwide, he said. “The opening ceremony was broadcasted for free by 385 local and foreign TV and Internet channels. Live streaming was performed in Austria, Belarus, Czech Republic, China, Germany, Poland, Russia, Spain, the U.K., Ukraine and other countries. Approximately 270,000 users watched the broadcast via YouTube and on the website of the exhibition. And these figures are growing every day,” Yessimov added. The exhibition was preceded by a large-scale promotion in the international arena. “Road shows and expo caravans were used for the first time as marketing promotion tools with a wide geography and mass coverage. The potential global audience amounted to 1.5 billion people. We expect to reach 2.5 billion people by the end of the year,” he said. The Kazakh national pavilion with an area of 5,000 square metres, located on the ground floor of the giant eight-storey sphere, called Nur Alem, is considered to be one of the most visited pavilions. 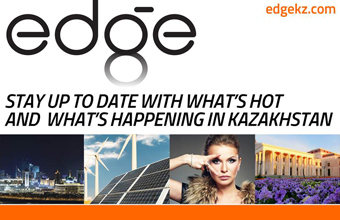 Two zones of the facility introduce guests to the history and traditions of Kazakhstan and demonstrate the achievements of Kazakhstan scientists in the energy sector. Approximately 281 cultural and business and 50 protocol events with the participation of the heads of state, ministers and commissioners of international pavilions were held in a two week period. The Congress Centre located near the exhibition area hosted the opening ceremony. It also became the main venue for the Ministerial Conference and the Eighth International Forum on Energy for Sustainable Development June 11-14. More than 1,500 delegates took part in multilateral dialogues, discussion sessions and seminars devoted to implementation of the Sustainable Development Agenda up to 2030. The Astana Economic Forum (AEF) was one of the key events in the first week of EXPO 2017 that attracted more 5,000 participants to debate issues regarding new energy and new economy June 15-16. The World Scientific and Engineering Congress titled “Energy of the Future: Innovative Scenarios and Methods of Their Implementation” was June 19-20. The 30th plenary session of the Foreign Investors Council under the President of Kazakhstan took place at the newly built Hilton Hotel just outside of expo site June 22. The 14th Eurasian Media Forum (EAMF) gathered influential experts in media and recognized professionals in various fields June 22-24. The exclusive REFLEKT show performed by the world-famous Cirque du Soleil, the Great Gatsby ballet directed by Dwight Rhoden, the most in-demand contemporary dance choreographer and Bastau live show featuring Kazakhstan’s new singing star Dimash Kudaibergen became the most anticipated and sold out cultural events as part of the expo.